View cart “Rochester Subway Pillow” has been added to your cart. 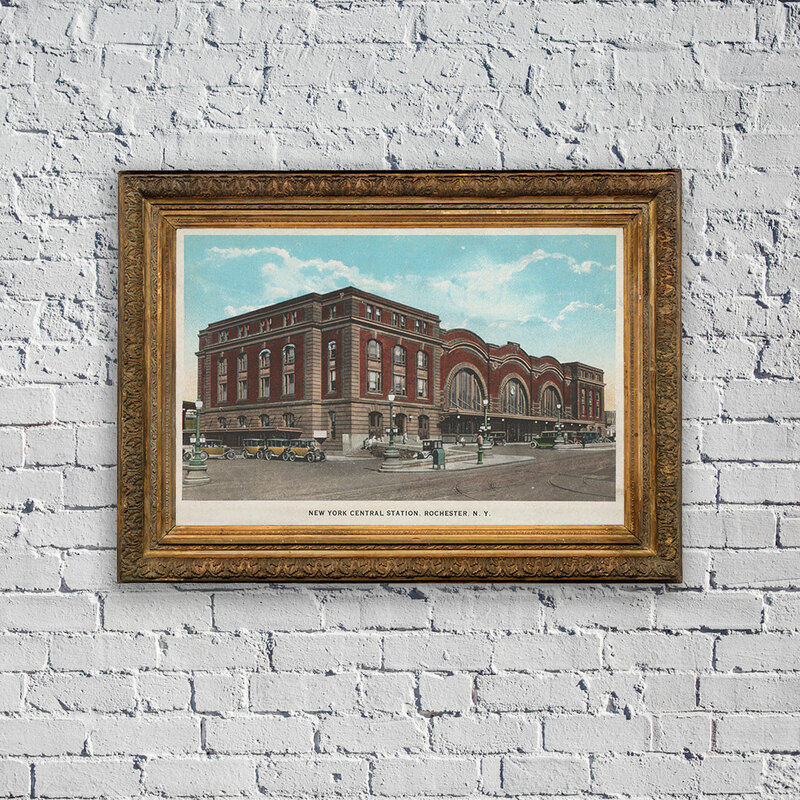 Rochester’s 1914 Central Station was designed by Claude Fayette Bragdon (August 1, 1866 – 1946) and has been described as one of the top 10 greatest rail stations ever built. Demolished in the 1960s, the style of Rochester’s newest (2017) train station pays tribute to Bragdon’s original, and irreplaceable design. This 24″x36″ matte, museum-quality poster is printed on durable, archival paper. All posters are unframed.